I spent a lot of time digging out the data for that map. 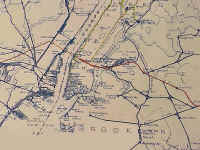 Where I couldn't see things from trains, I walked. 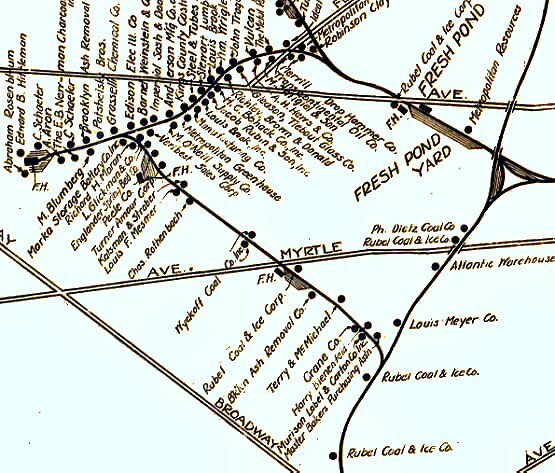 So I walked all around Hempstead crossing and that's when I saw those feeder rails. 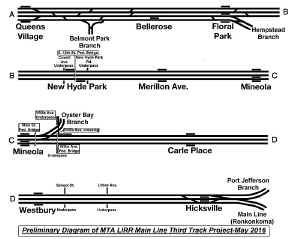 Then I walked the lines from there to Mineola and to West Hempstead . 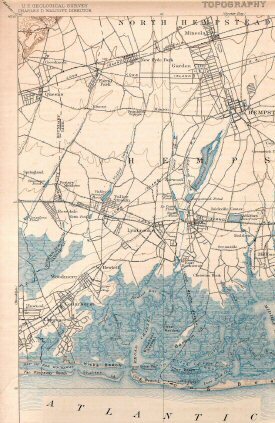 I had the map printed, just in time for the fantrip with #107, and it proved to be a fast seller, so I called home and had the folks bring more copies and meet the trip at a photo stop on the Creedmoor Branch. 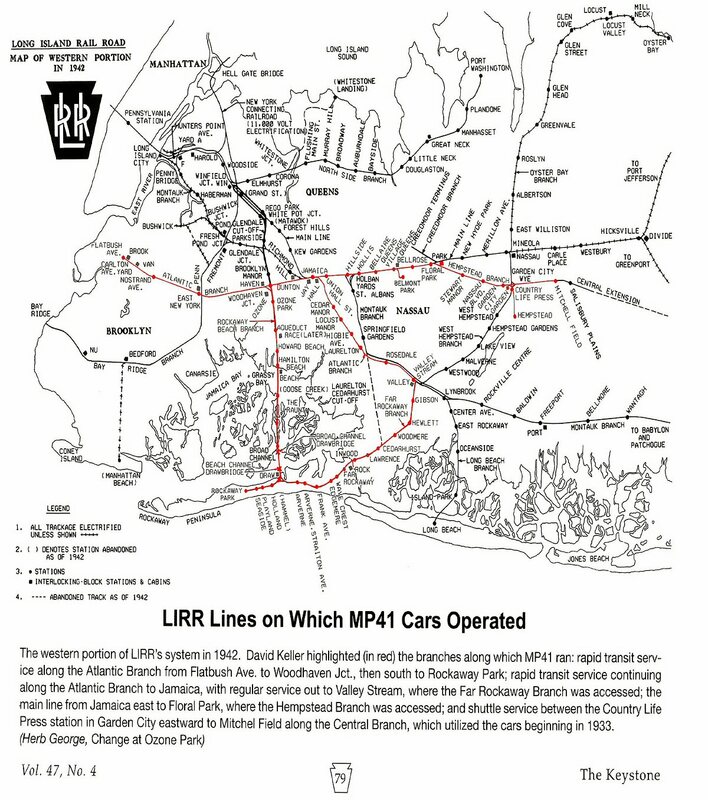 On the following Monday, I had a call from Paul Blauvelt, the LIRR PR department. 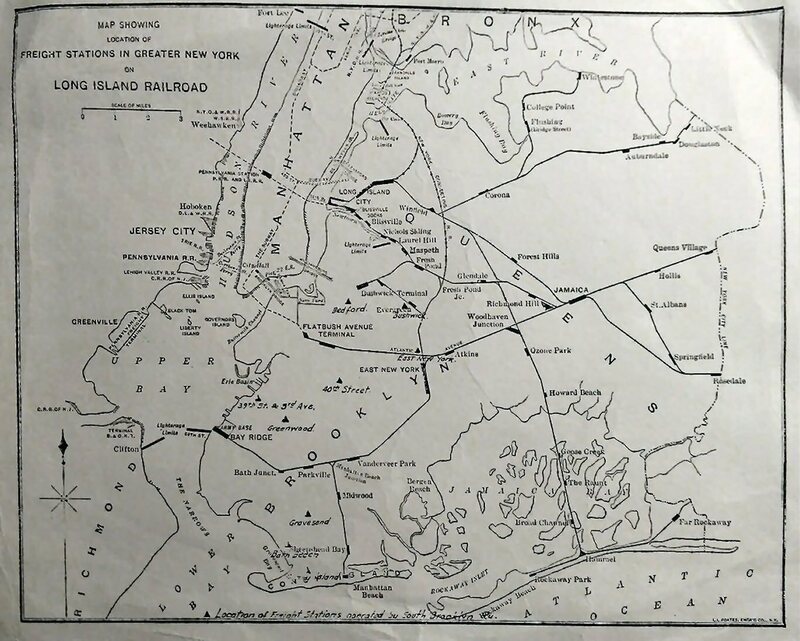 He wanted to know if the RR could buy 20 copies, and would I be willing to be interviewed for the Railroad. 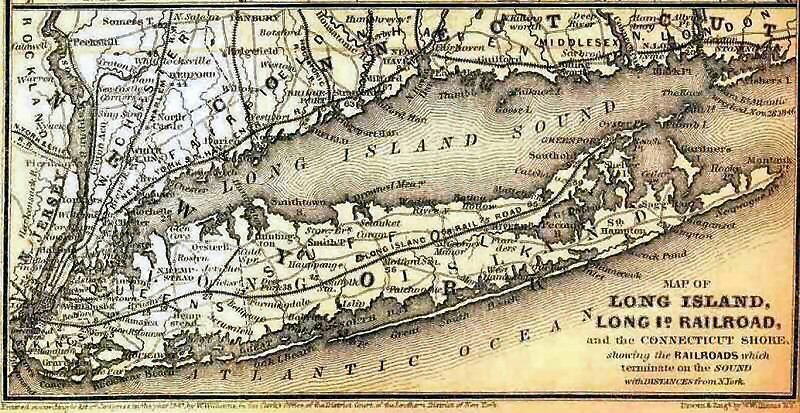 I went down to Jamaica, and that's when that picture was taken. 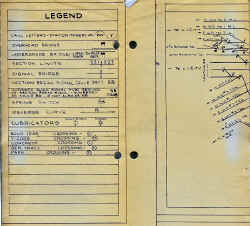 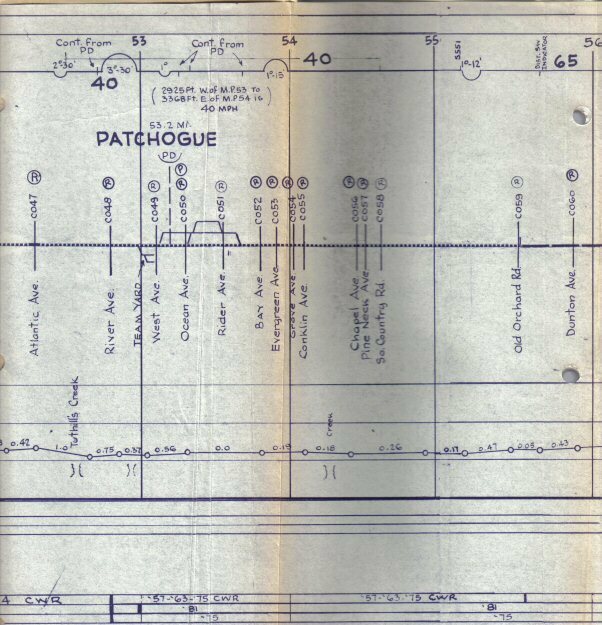 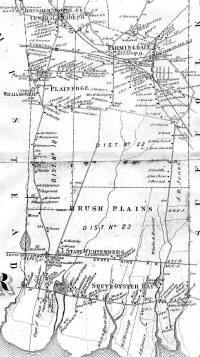 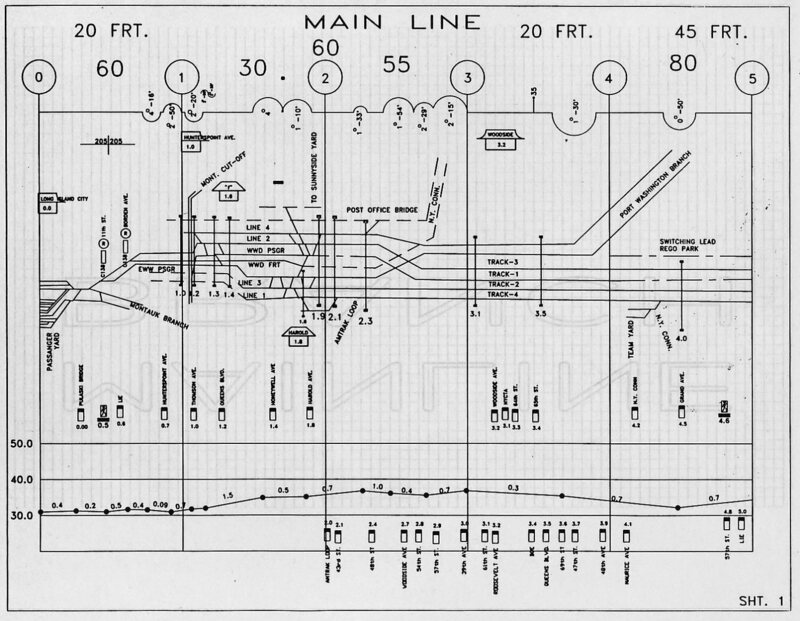 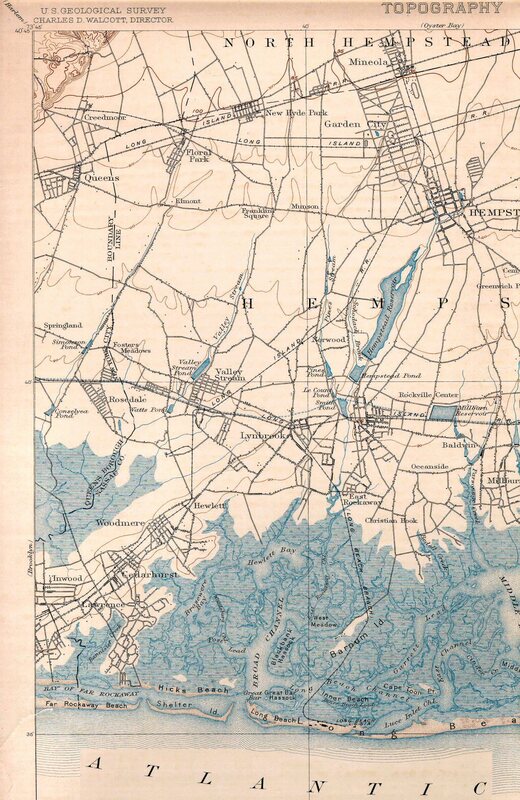 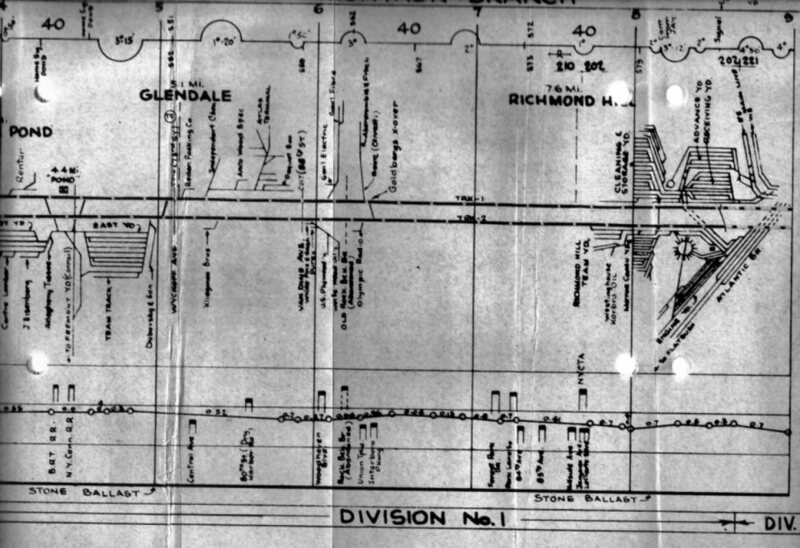 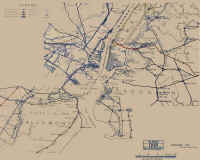 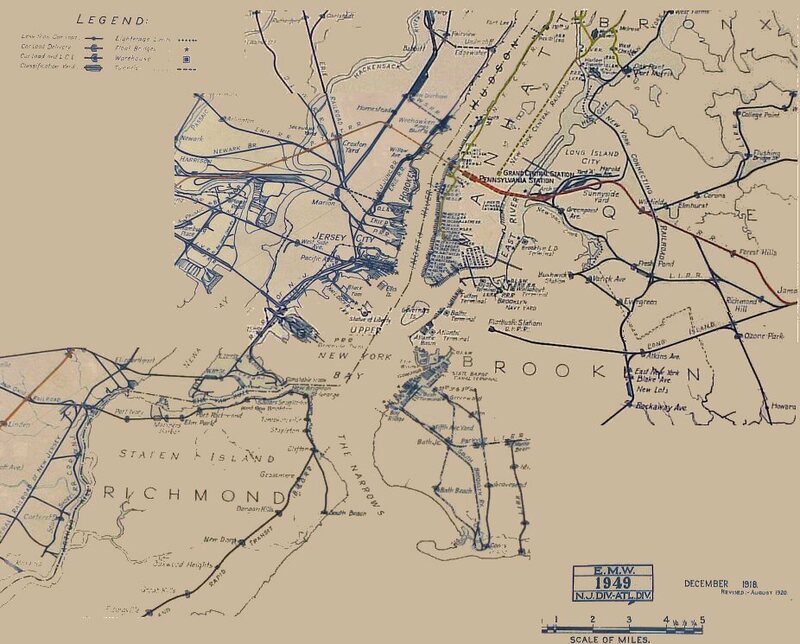 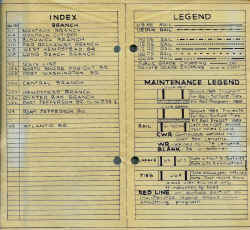 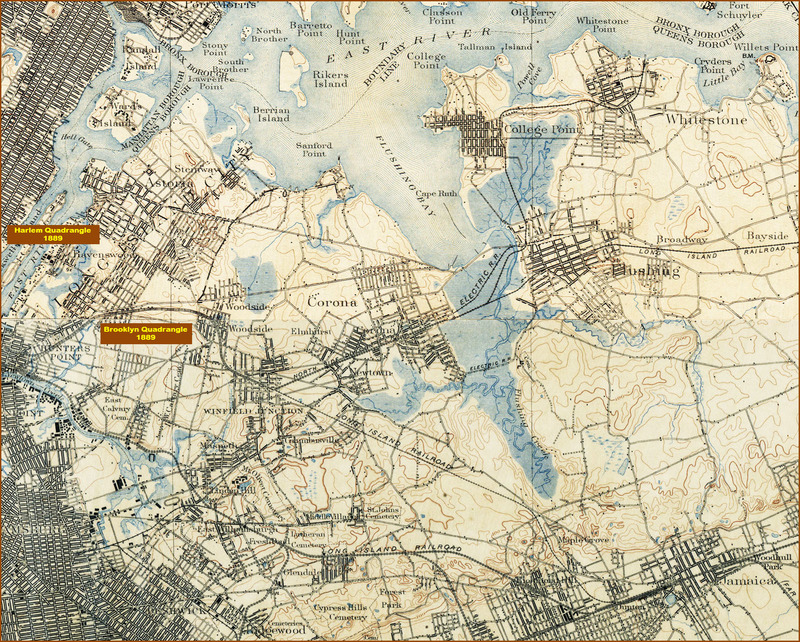 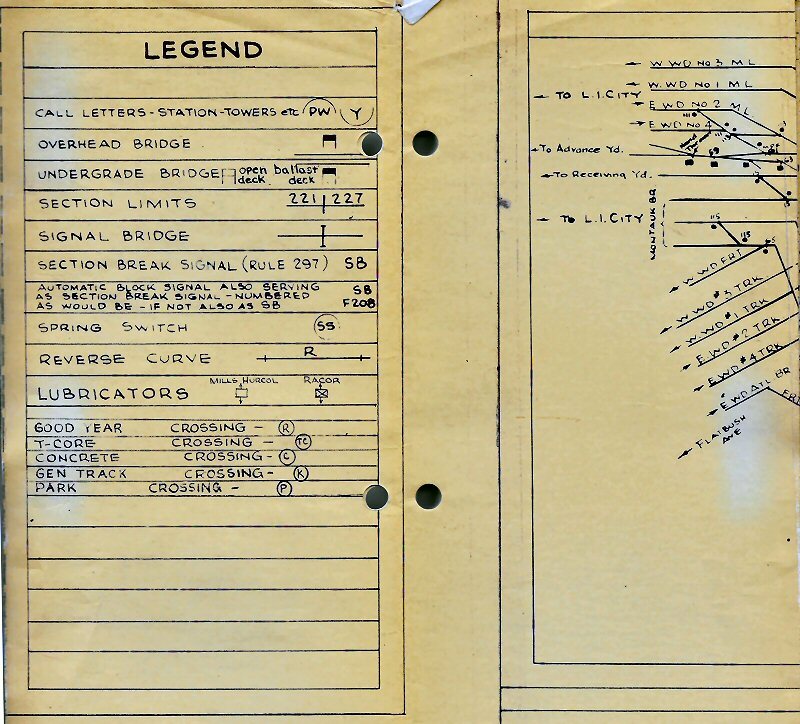 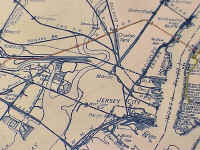 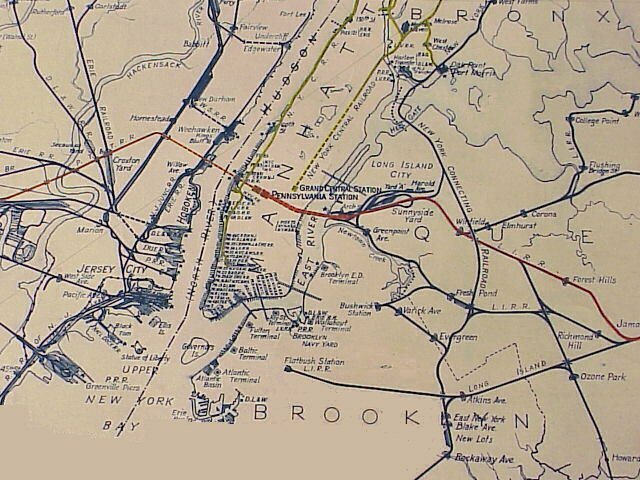 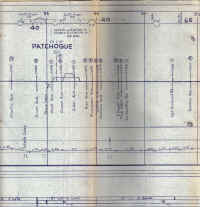 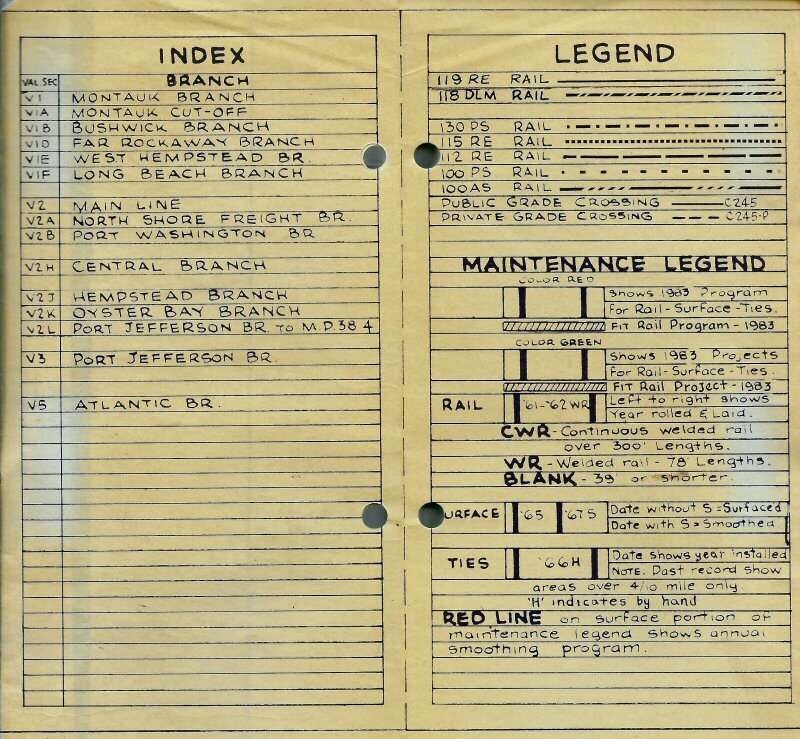 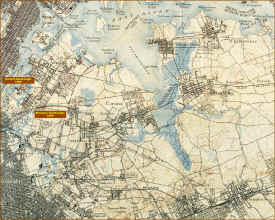 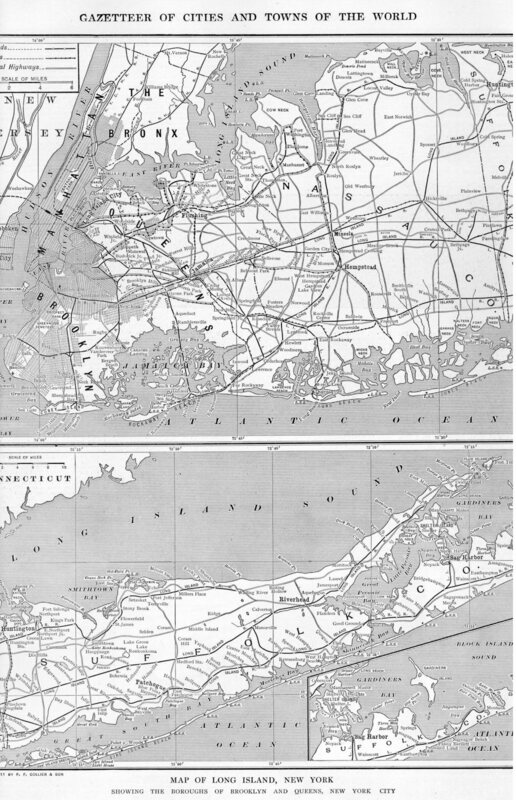 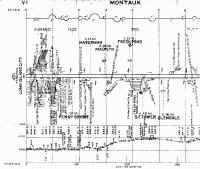 In the summer of 1957, I worked in the Chief Engineer's office, and found a copy of my map in the file there. 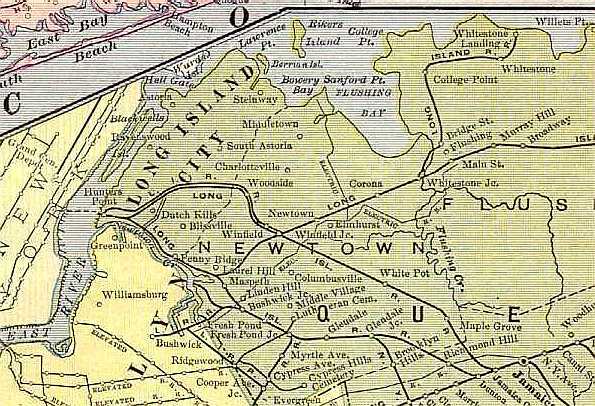 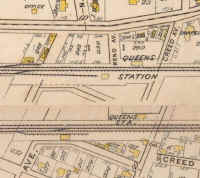 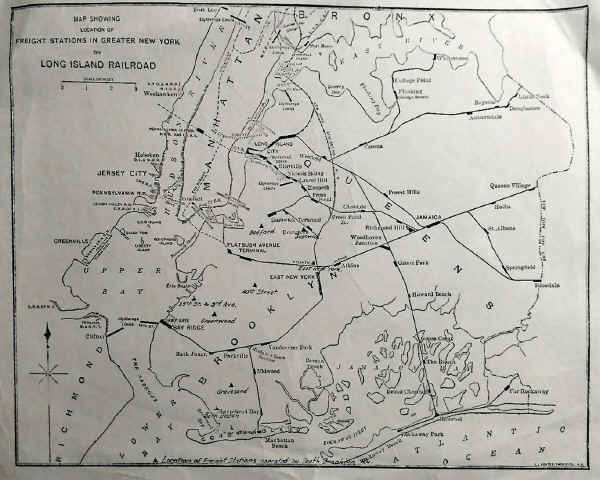 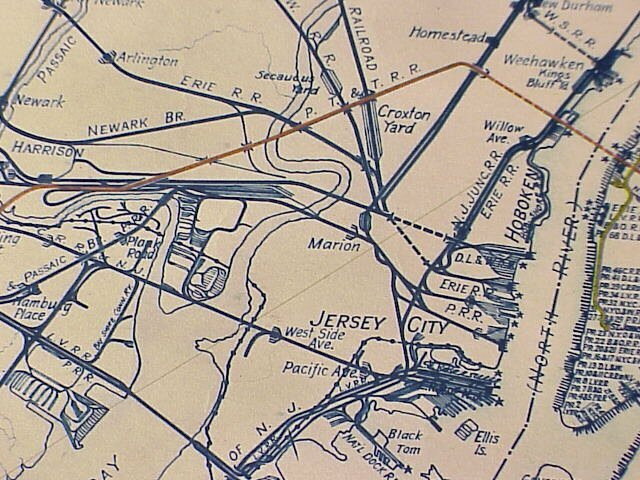 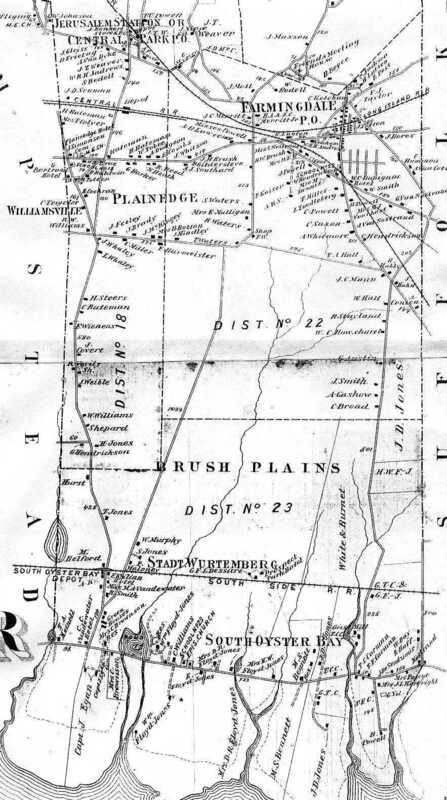 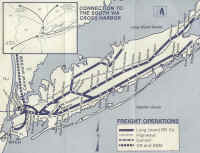 On the stretch to West Hempstead , the track ran on a diagonal to the street grid. 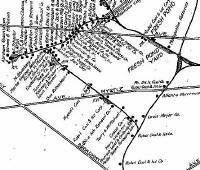 Somewhere along there, there was a place where it crossed an east- west street, then a north-south street. 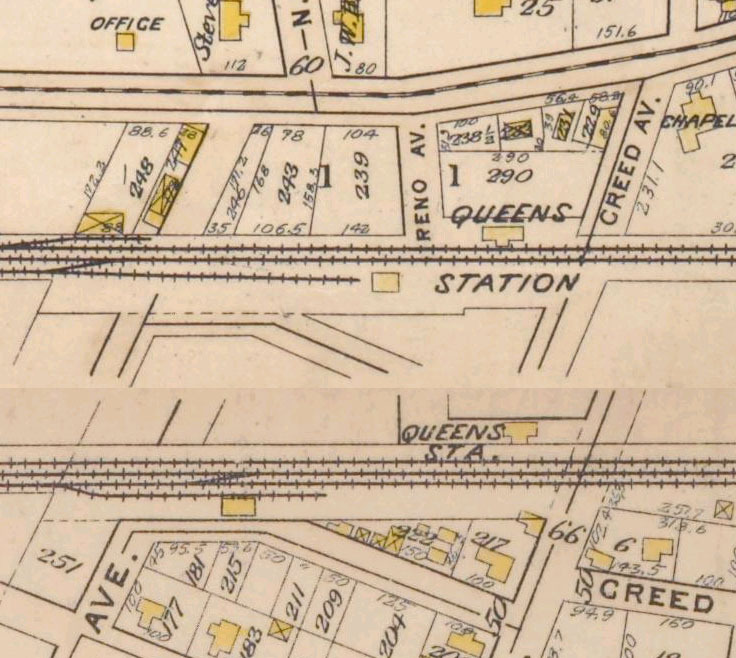 Between the two streets the track ran across what looked like somebody's front yard for about 30 feet. 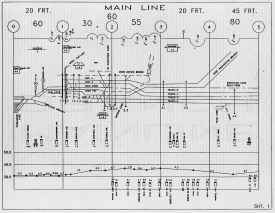 In this section, there was a 20 foot length of 3rd rail! 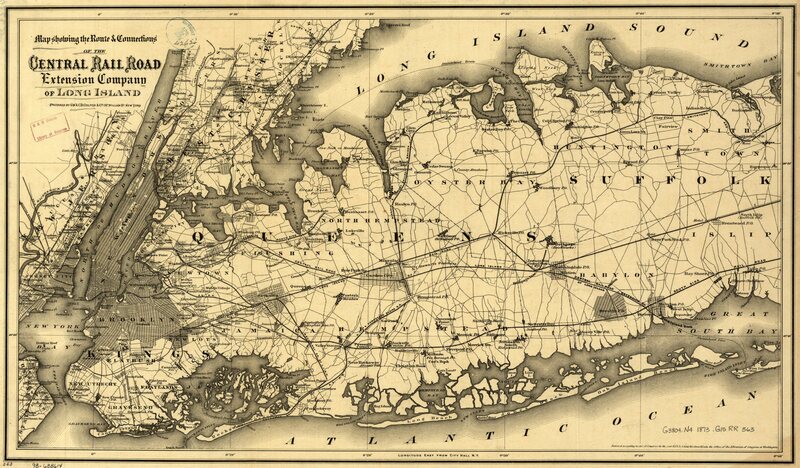 No fences, nothing. 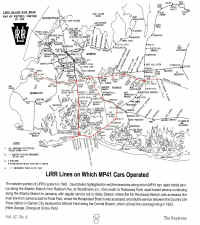 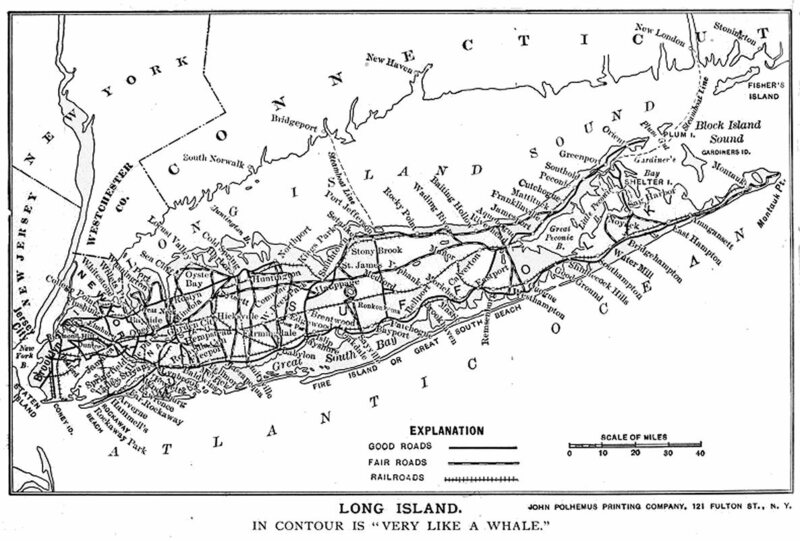 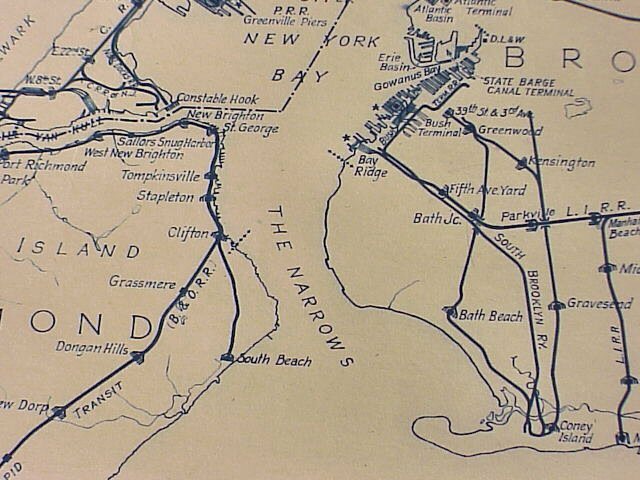 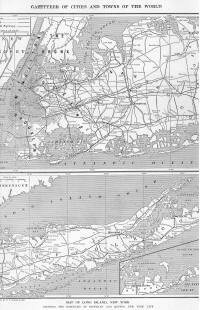 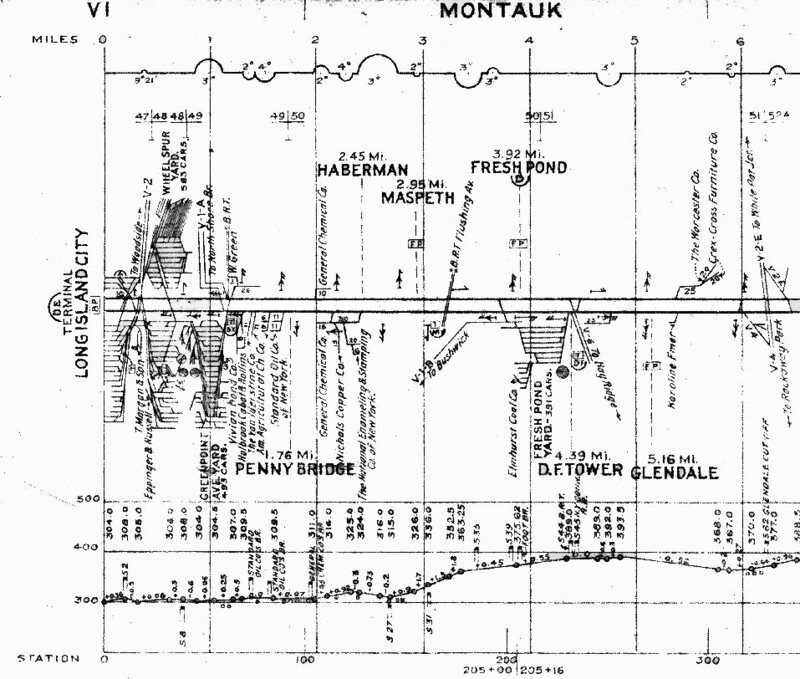 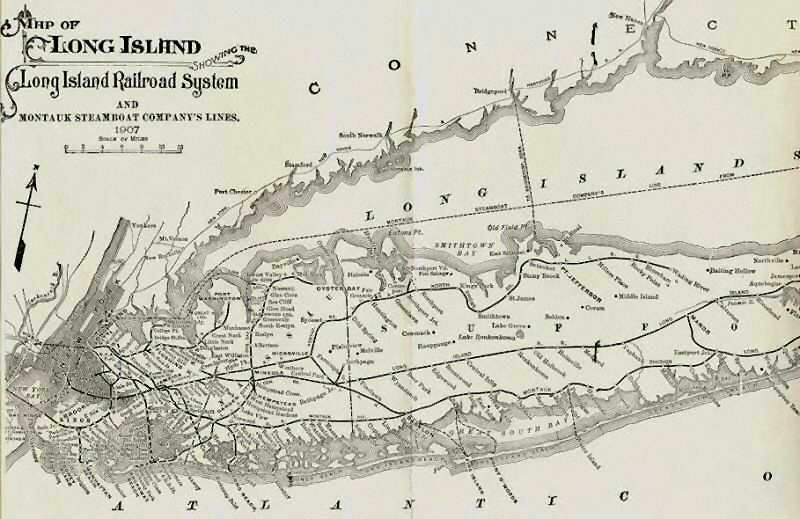 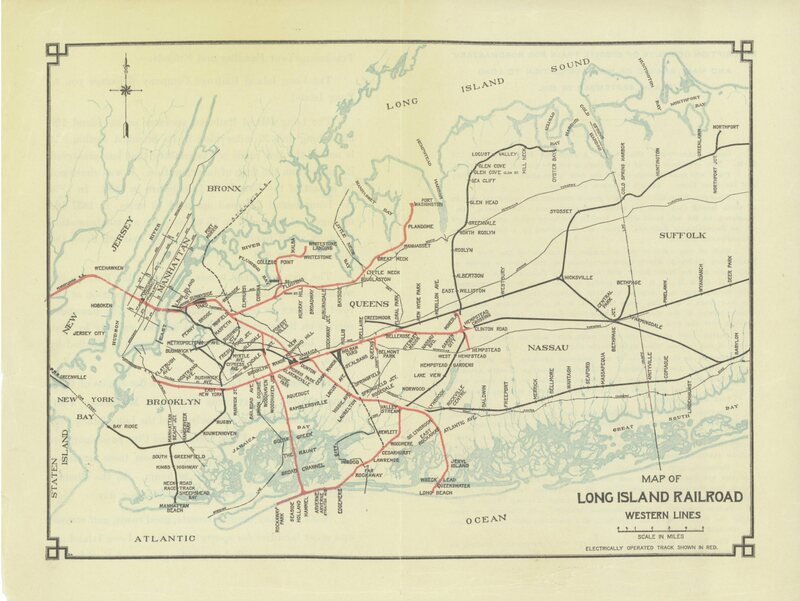 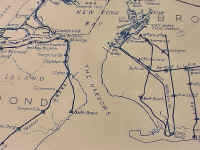 Routes of LIRR MP41 operations. 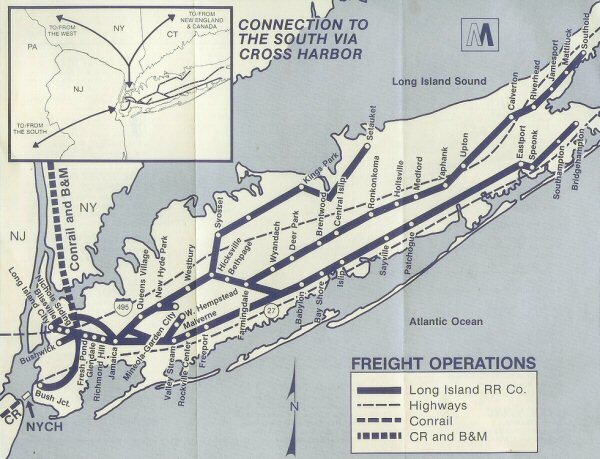 Map courtesy of Herb George's Change at Ozone Park. 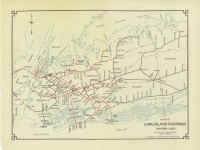 Red route lines added and map captioned by Dave Keller and Chuck Blardone of "The Keystone". 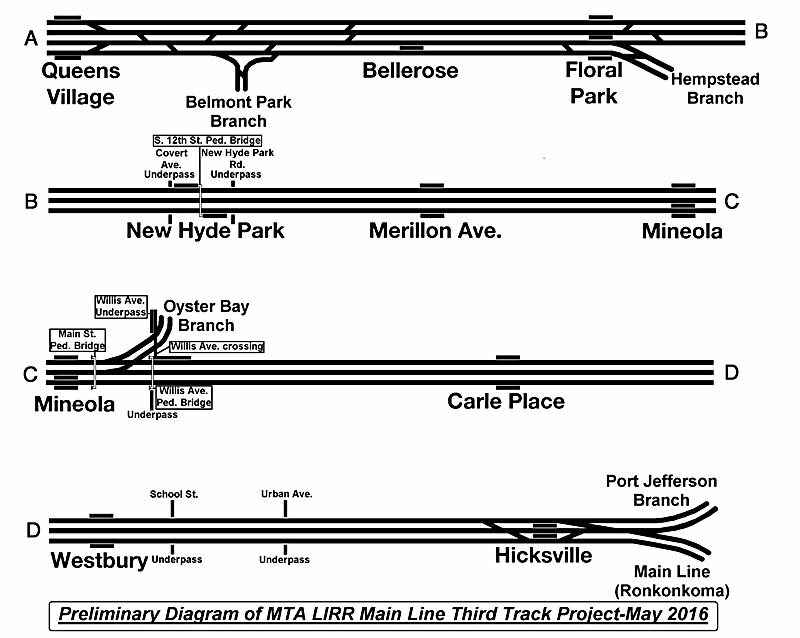 May 5, 2016 MTA Document George Chiasson Jr.